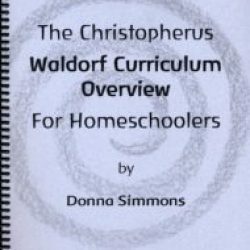 A practical guide to the Waldorf approach to science for homeschoolers – covers kindergarten through 8th grade. 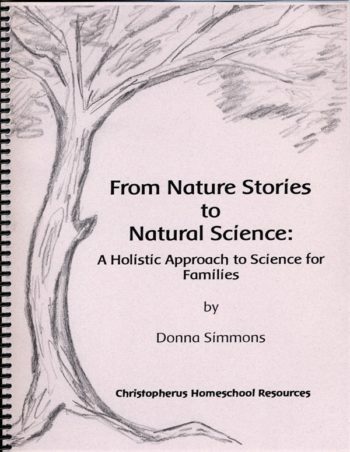 In this book Donna attempts to give a picture of how science is taught in Waldorf schools and how parents interested in this approach can take steps toward adapting these methods into their homeschools. 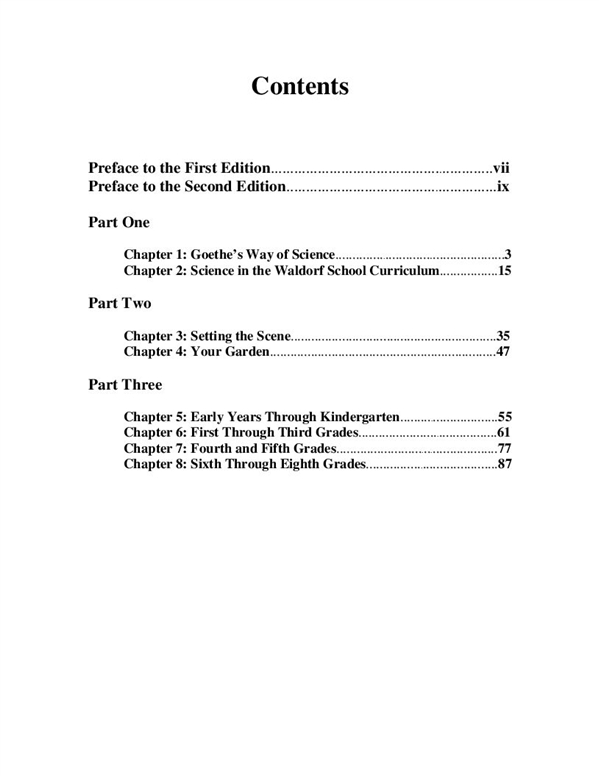 The Waldorf approach to science is essentially Goethean, based on the work of the German poet, scientist, and statesman Johann Wolfgang von Goethe (1749-1832), who had a great influence on Rudolf Steiner’s work. The Goethean approach is experiential, based on direct observation of that which is being investigated. 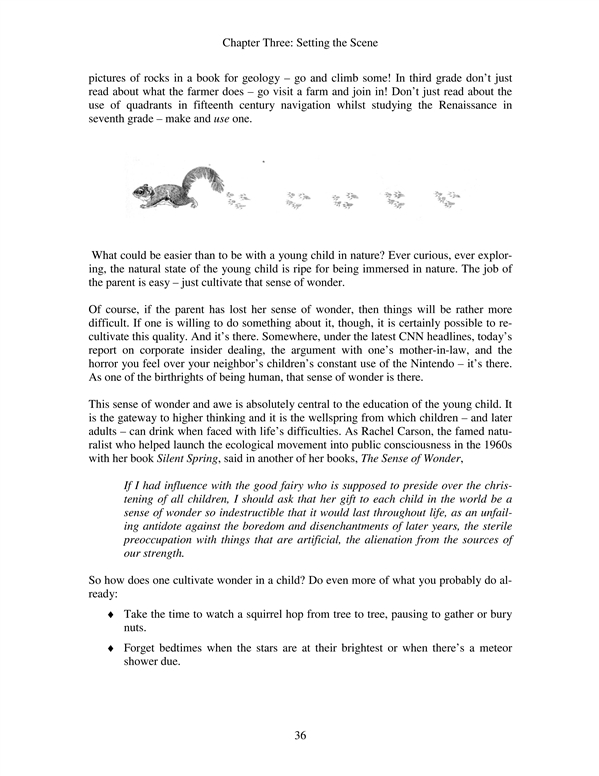 Scientific facts are presented as phenomena and – in line with the reality of nature – one studies these phenomena from the whole to the part: the parts of a plant, for example, would not be identified and diagrammed until after the student has an appreciation of what a plant is, what plant-ness is. Crucially, the human being is seen as a participant in nature and science, not as an outside onlooker. 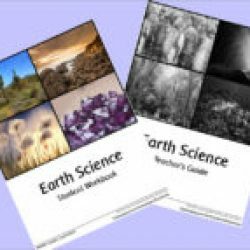 Much of From Nature Stories to Natural Science is focused on how you can create a learning environment in your own backyard, which can become the basis for much of your children’s explorations into science. 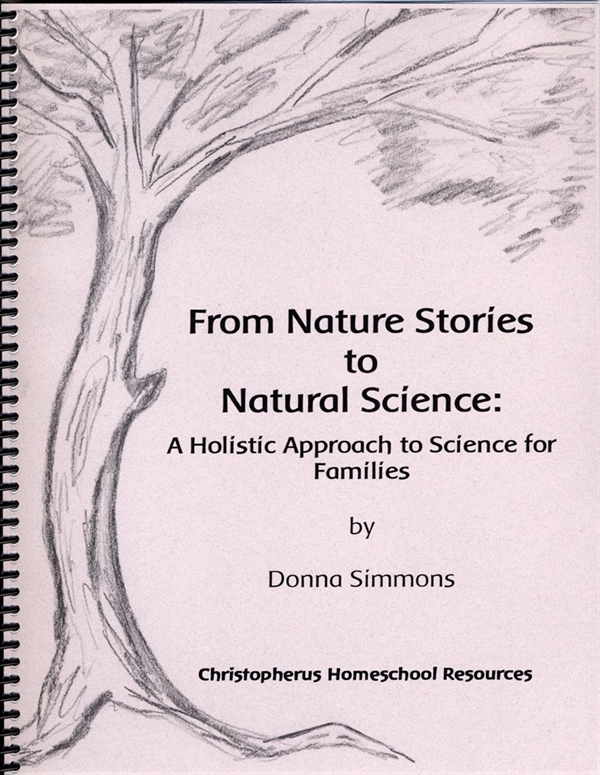 Likewise, as science is not divorced from art in Waldorf Schools, Donna has given a lot of space to how the parent-educator can approach the teaching of science in a lively and artistic manner. 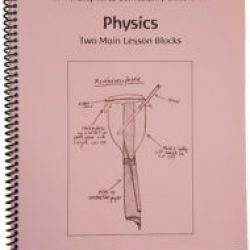 This book is not a series of blueprints for Main Lesson blocks: rather, Donna goes through the entire K – 8 curriculum and briefly explain the whys and hows of the usual lesson blocks, giving suggestions for how one can approach these blocks at home. 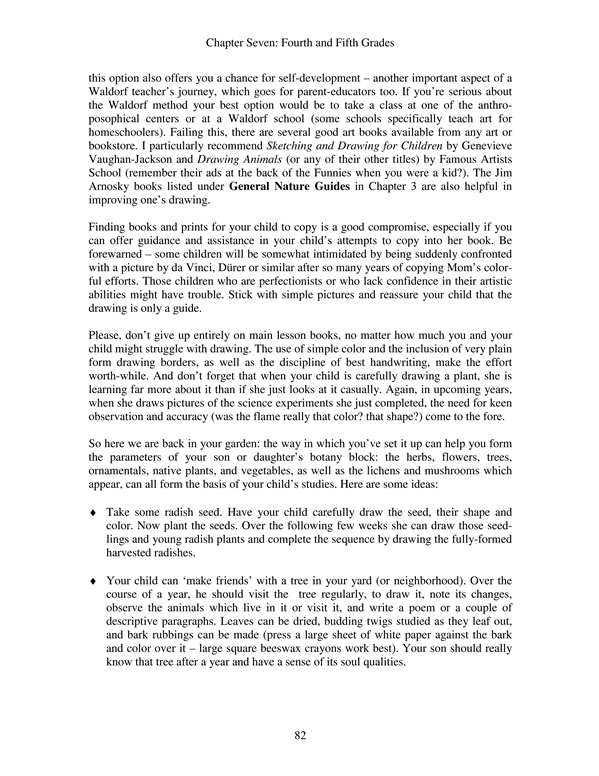 Donna also gives suggestions for blocks not usually taught in Waldorf schools, or how to approach the blocks in quite a different way. 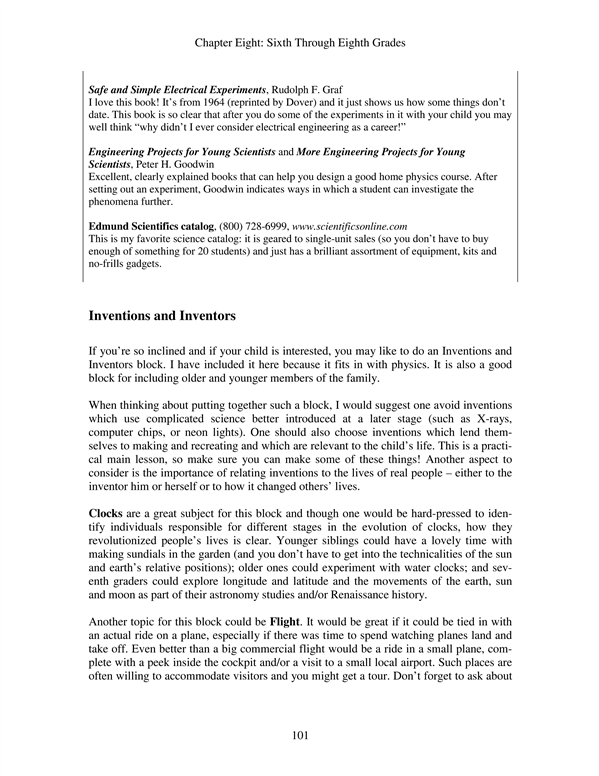 There are extensive lists of book and resource reviews, suggestions for Main Lesson books, and ideas on how to combine certain blocks for multi-age teaching. 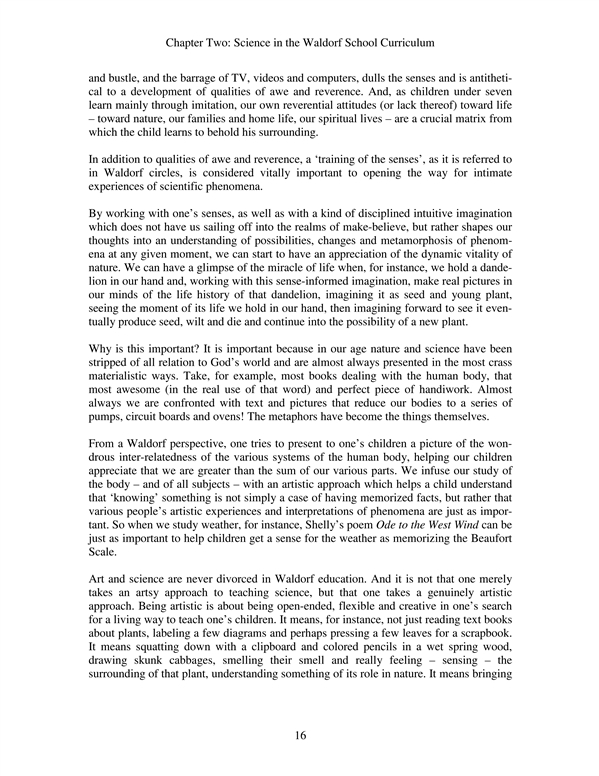 Please refer to our Articles section where you will find a range of articles on how science is approached in Waldorf schools.